In case of the EUR/USD currency pair we can see that the descending symmetrical pattern with the target in the area of 1.3990 has been formed. 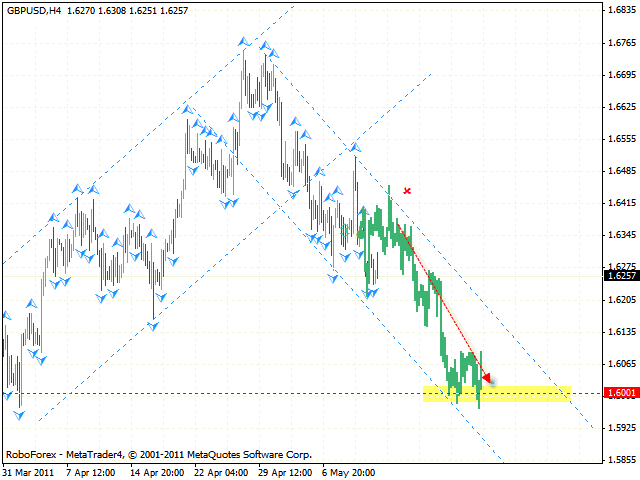 At the moment the price is testing the channel’s upper border, one can try the tight stop sales. If the price breaks and leaves the channel, this case scenario will be cancelled. Pound is moving inside the descending channel. 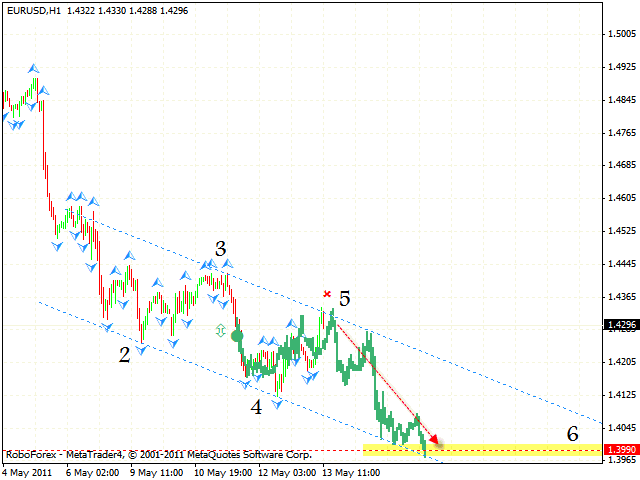 At the moment one should consider selling the GBP/USD currency pair with the target of 1.6000. 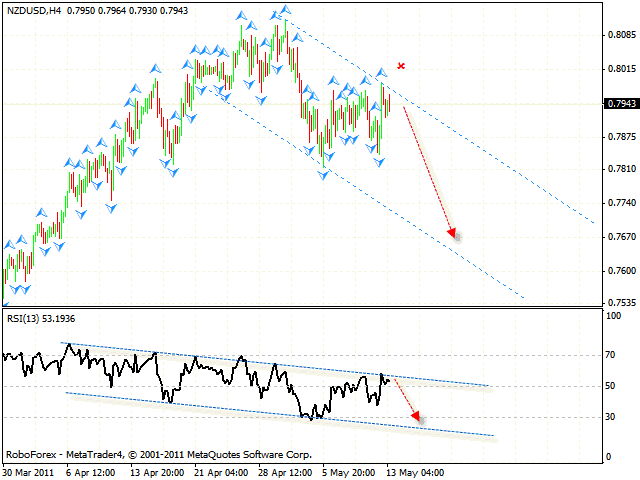 If the price leaves the descending channel, we will recommend you to close short positions. 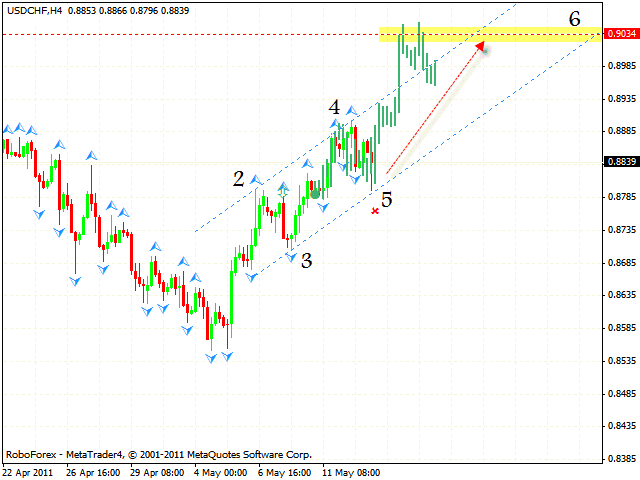 The USD/CHF currency pair is moving inside the rising channel. One can try to buy Franc with the tight stop. The target of the growth is the area of 0.9035. If the price breaks the channel’s lower border, this case scenario will be cancelled. It seems like New Zealand Dollar is going to fall. 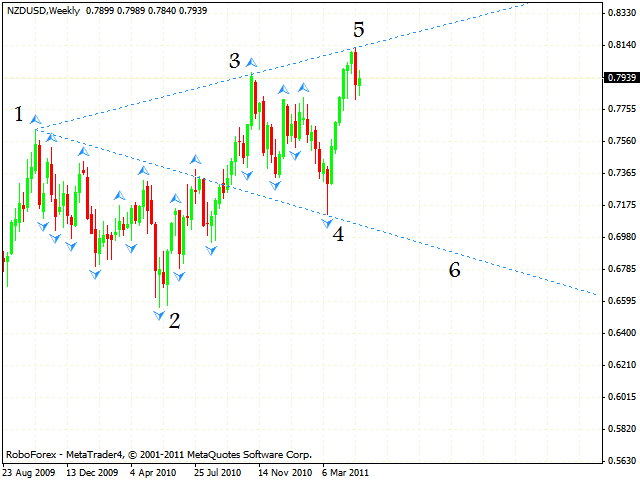 At the weekly chart of the NZD/USD currency pair we have descending Wolfe Wave forming with the target in the area of 0.6800. The price is in the area for sales, so one can wait for signals to sell the pair at shorter periods of time. 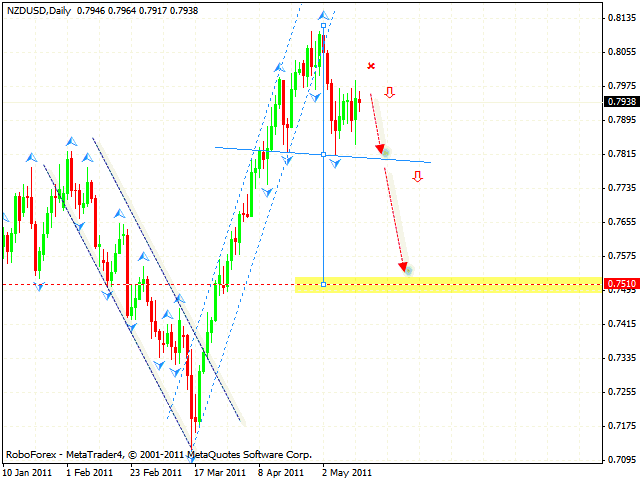 At the daily chart of the pair we have “head & shoulders” reversal pattern forming with the target in the area of 0.7510. One can try to sell the pair with the stop above 0.7800 at current prices and consider increasing the amount of short positions after the price breaks the neckline. At the H4 chart the price is testing the trend’s descending line at the RSI, which is, in this case, a signal to sell the pair. One should also consider the tight stop sales. 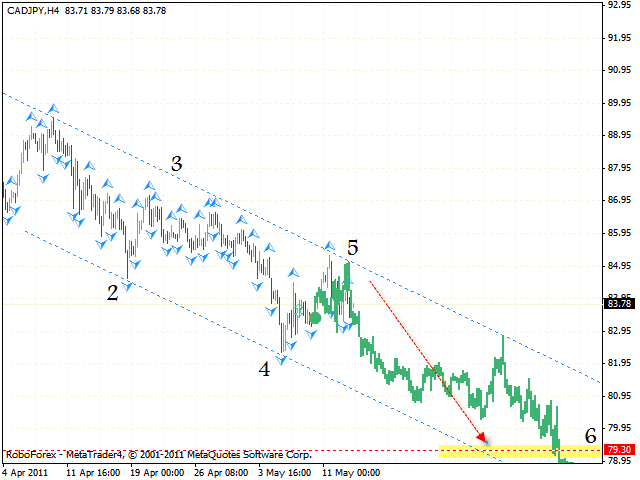 At the H4 chart of the CAD/JPY currency pair we can see the formation of the symmetrical descending pattern with the target in the area of 79.30. The market has defined the 5th point of reference and currently we should expect the price to fall. If the price breaks the level of 84.95, this case scenario will be cancelled.